Don’t forget what this is all for and sponsor me! What a week – I’ve had some seriously rotten luck but at the same time some incredible kindnesses, which seem to have balanced one another out. Travel to NZ… Nearly there! NB: This page has been written in chunks and may not make sense. Still on the plane. Still somewhere over the Pacific (it’s a big old ocean). Six and a half hours until we reach our final destination and there’s a middle sized boy occupying a small portion of what I deem to be my personal space, so I am sitting at a fairly dodgy angle. I will complete the arrival portion of this post, well, upon arrival but I might as well get started, hey! On a crowed plane, somewhere over the Pacific Ocean, I am sure it is still Christmas somewhere and I am listening to Mariah’s Merry Christmas – apparently it belongs under the genre of ‘US and Euro Hits’. Who knew? Perhaps it is finally time to reflect on the whirlwind of the past couple of months, the many unwritten blogs and the journey so far, for it is now the end of the beginning. The challenge is here. Long ago, in a land the sun forgot, one girl in her waterproof gear set out on a journey; a journey from coast to coast, over mountains and through glens on her trusted steed. What could possibly go wrong? Well, the idea to try and wait until the end of the week and write a weekly update didn’t work out so well but here I am, another week later, and I am ready to tell my story. Unlike Narnia, it isn’t fantasy but hopefully will provide some entertainment on this drab and dreary day! It’s definitely Autumn and the wind has certainly changed but alongside that chill in the air, there’s a little dose of something special… LOVE. Mum, Dad, Grandma… I am in love with Ricci. He’s beautiful, Italian and keen to accompany me on trips. The funny thing is that, well, I have to carry him over the threshold every time we come home. 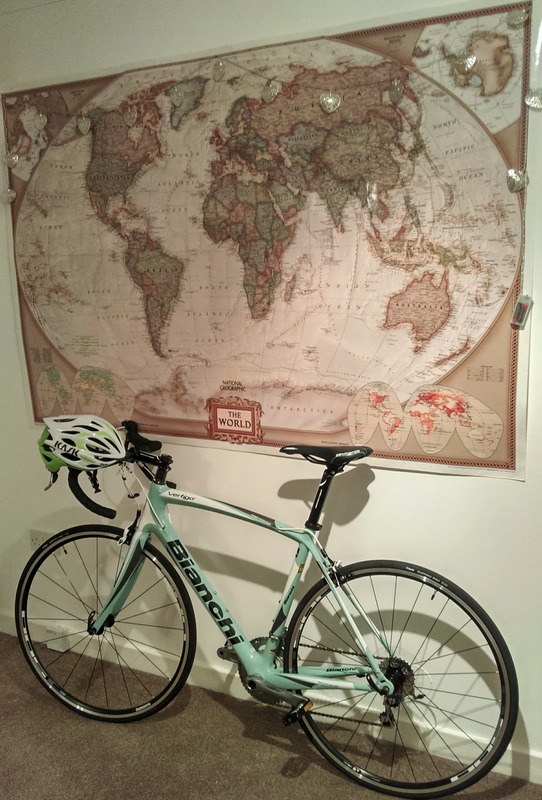 This weekend, I managed to take Ricci (Riccardo), the new Bianchi road bike out for a test spin and it was totally dreamy. Midweek I signed up for the only ride I could find on go sky ride which seemed to fit in with the rest of my weekend plans. It meant getting up at 6am and cycling 15 miles to the start line but I was totally up for it. The description flagged it as suitable for roadies and chumps on hybrids alike and I was assured an average pace of 12-13mph. Perfect. 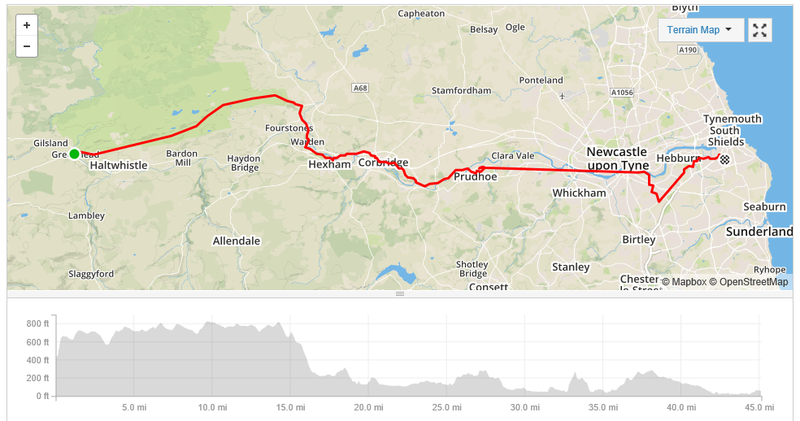 Didn’t even get outside the M25 but it felt tough. It has been some time since I managed to post and I am determined to get back on track! 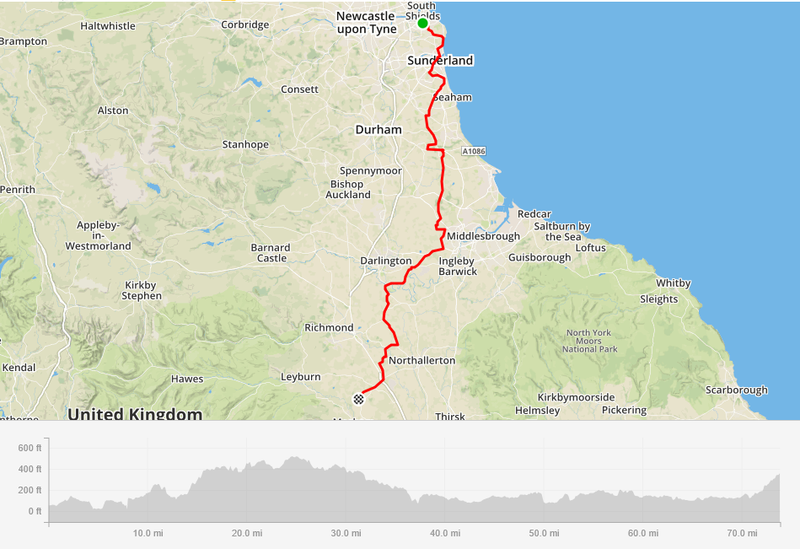 Unfortunately, it has also been a while since I have done any big, big rides but I have a mammoth Scottish adventure in store for half term. 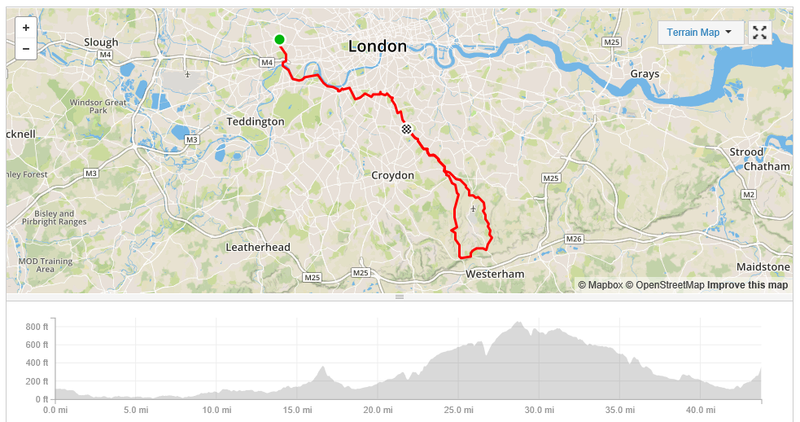 In the meantime, read about three gorgeous rides along the Thames. I’m also claiming two new 20:20:20 buddies, taking the number up to #9… not much time left now so I might have to extend into the NZ ride! Spinning around Paris is a must! Our spot in the city was in an area which seemed a little run down but we were close to the river with a Velib bike hire station extremely close by. Bullet biting time. I’m sorry. I was excited and tired and then life happened. Time to get back on track or no blogging will ever happen again! Here’s how the story ended!